The village developed originally on a low mound in the Thames marshes and has been a permanent settlement since Saxon times. 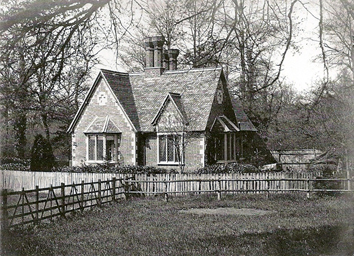 At this time there were three focuses of settlement with the present Purley: Purley Magna (subsequently Purley Park); Purley Parva, about a mile West of Purley Magna in the Westbury Farm area and Purley La Hyde in the Sulham Lane area, subsequently replaced by Purley Hall. During the war between Stephen and Matilda, Purley’s Saxon church is believed to have been destroyed by Matilda’s forces and in the mid-12th century was replaced by a stone church in the Norman style. By the 14th Century, Purley seems to have developed into a prosperous village able to modernise its church and to build a road across the marsh so that farmers could take their corn to the mill at Mapledurham by means of a wooden bridge across the Thames. 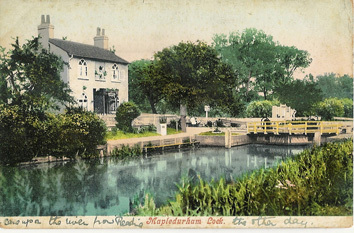 However, an attempt to drain the marsh and irrigate Purley Magna was stopped by the Lord of Mapledurham because he claimed it was diverting water from his mill. In the 17th century the church was again rebuilt, but soon afterwards the country was plunged into the Civil War. Purley was on the parliamentary side whilst the North of the River was Royalist. Also in the 17th century, Anne Hyde was buried at St. Mary’s Purley. Anne Hyde was the granddaughter of the Lord of the Manor of Purley Magna and also the first wife of Edward Hyde, Earl of Clarendon (who was subsequently father-in-law of James II and grandfather of two British Queens). The major social and economic changes of the eighteenth and nineteenth centuries impacted only slowly on Purley. Purley Park was built on the hill and its predecessor closer to the river was demolished. 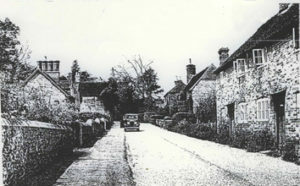 Until this time, Purley had a pub, the Red Lion, but it vanished around 1800. It is not known exactly where it was situated, though there are at least two references to it. 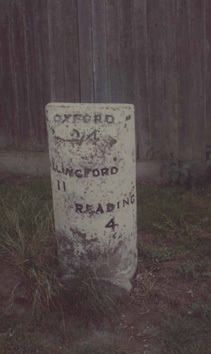 It is thought to have been on the old main road. This road, which wound down the hill from the Roebuck to the church, was closed and the main road moved further south to make room for the new Purley Park and New Hill was built for access. 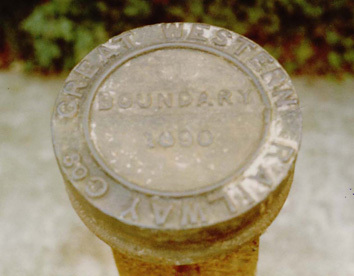 When the railway arrived in 1837 it had a major impact. The cutting split the parish in two and also split Purley Park from much of its lands. From 1902 onwards, pieces of the Purley Park land were sold off or leased. The development of the old Purley Magna lands had begun and it is still ongoing. During the 1930s, land alongside the ferry was sold to campers for £5 a plot and these plots were used by Londoners as a weekend retreat. 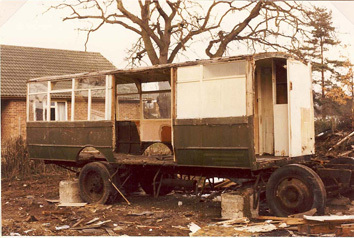 During and immediately after the Second World War, when there was a shortage of housing stock and building materials and when people were glad to leave London during the bombing, these plots began to be occupied permanently and the “homes” were often old railway carriages, buses, huts or whatever was available. Many of these homes suffered badly in the floods of 1947. Since the war, these dwellings have been progressively upgraded and are now subject to a Guidance Plan to try to ensure that the dwellings are flood-proof and of a suitable standard. From the Second World War onwards, the position of Purley as a dormitory for London, Reading and Bristol became increasingly important, the pace for development being accelerated after changes in the definition of the Green Belt enabled developers to build upon much of the land within Purley. 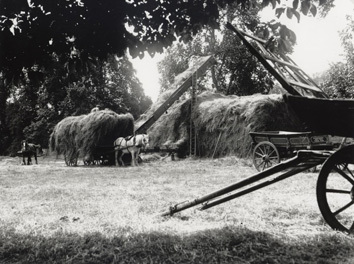 Population increased quickly after the Second World War, having been relatively static particularly through the nineteenth century. In 1676, there was a recorded population of 80 in Purley which had grown to 153 in 1801. By 1946 this had risen to 867 and it is now well over 4,000 (even after a significant reduction in the parish area in 1991).